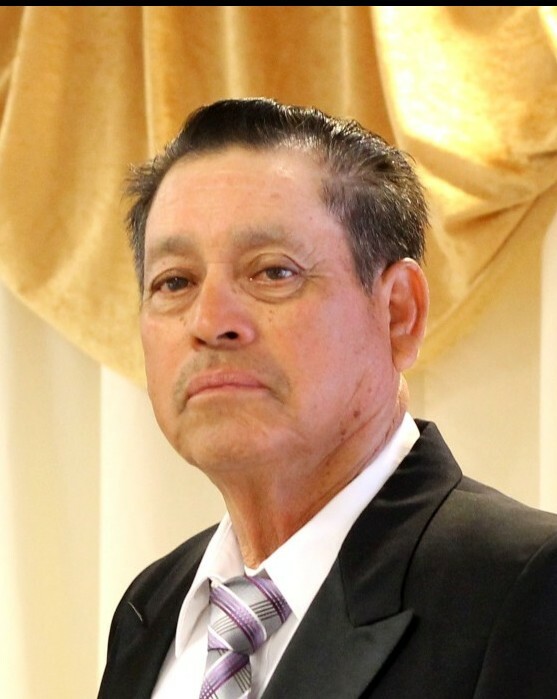 Fidel T Godina, 78, of Nampa, Idaho passed away peacefully, surrounded by family on January 22, 2019. Fidel was the oldest of 12, born in Garambullo, Coahuila, Mexico to Juan and Socorro Godina. Fidel had a humble beginning in Mexico and learned to work hard at a very young age. Education was a luxury he was not afforded. As a child he grew up in a desert village with no running water or electricity. His days consisted of burning needles off nopal or cacti to feed cattle, transporting water and cutting mesquite for firewood. At the age of 11 he travelled to Texas with his father Juan to work and send money home. Fidel worked as a construction helper carrying buckets of cement for a brick mason. Fidel’s parents moved to the US in 1955. As migrant workers, they followed the work picking cotton and carrots (Arizona), strawberries (Washington), beans (Oregon), oranges (Texas). Around 1960, they settled in Wilder, Idaho and started working for Fred Gooding at Gooding Hop Farm. Fred hired Juan as the foreman starting a lifelong partnership between the families. Fidel met the love of his life and lifelong companion Julia Sanchez Morales growing up in Garambullo. Fidel traveled back to Mexico and married Julia on February 17, 1963. Fidel enjoyed working at Gooding farms, being outdoors, working alongside his father and brothers for nearly 58 years. He retired at the age of 67, though he never really left the farm. While working at Gooding Farms, Fidel had a small business, consisting of 2-3 trucks, which he ran during harvest season in Canyon County. Fidel sacrificed for his children, as did his wife Julia who worked 35 years at the Caldwell, Simplot plant. They were married for nearly 56 years and had six children. They raised their family in Parma, from 1971 to 2012, and then settled at their current home in Nampa. Fidel is survived by his wife Julia, his brothers and sisters Manuel, Pablo, Gilberto, Enriqueta (Hernandez), Gustavo, Oscar, Bernardo, Ricardo, Maria (Hernandez), Juan Jr. His children Martin (Leticia), Lupe Pardo (Mike), Fernando (Tina), Tony (Betsy), Julian (Aurora), Alicia Cervantez (Juan), 19 grandchildren and 7 great grandchildren. He is preceded in death by his parents, Juan and Socorro and his brother, Antonio. A viewing will be on Monday, January 28, 2019 from 5 – 7 PM at St. Paul’s Catholic Church, 510 W. Roosevelt Ave., Nampa with a eulogy beginning at 7 PM and the recitation of the rosary beginning at 7:30 PM. Mass of Christian Burial will be Tuesday, January 29, 2019 at 12 Noon at St. Paul’s Catholic Church. Burial will conclude at Mt. Calvary Catholic Cemetery.